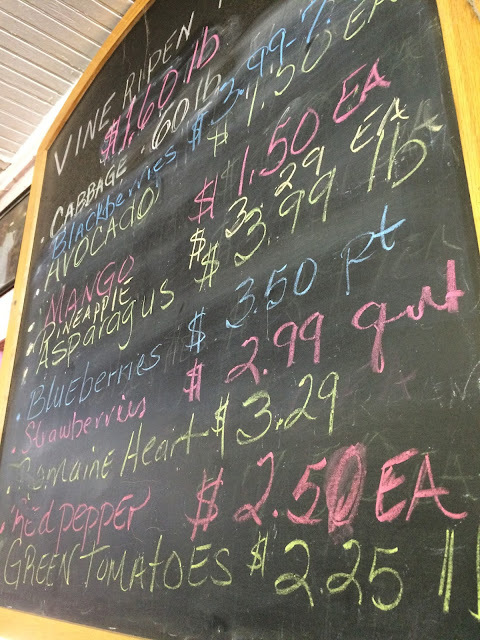 Y'all should know by now that I'm a sucker for farmer's markets, cute little produce stands, and buying local. 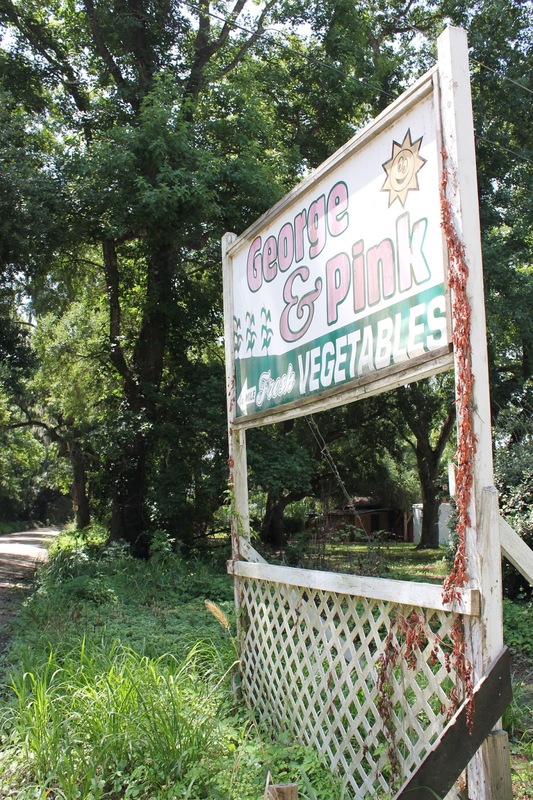 It should be no surprise to you that when I heard about a great produce stand in Edisto that I had to accompany Patrick on a trip to it this past weekend. 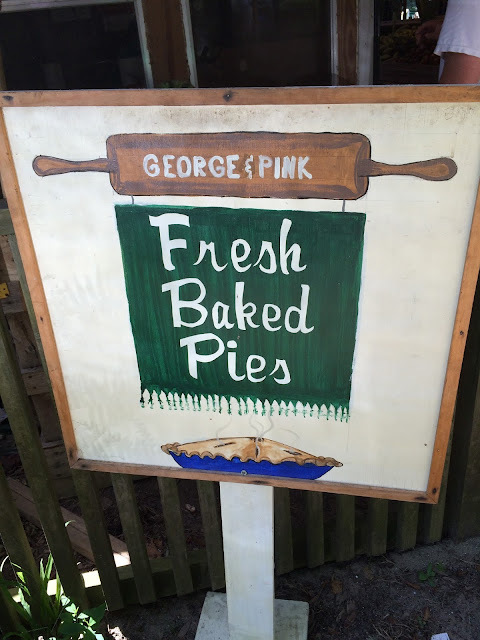 George & Pink is located about 3 miles out from Edisto, down a picturesque dirt road. I may or may not have hung out the window to take a picture as soon as we turned down the road. At least Patrick is used to these types of antics from me and he usually indulges me by slowing the truck down to let me take a picture or by stopping to let me run out to snap a few. 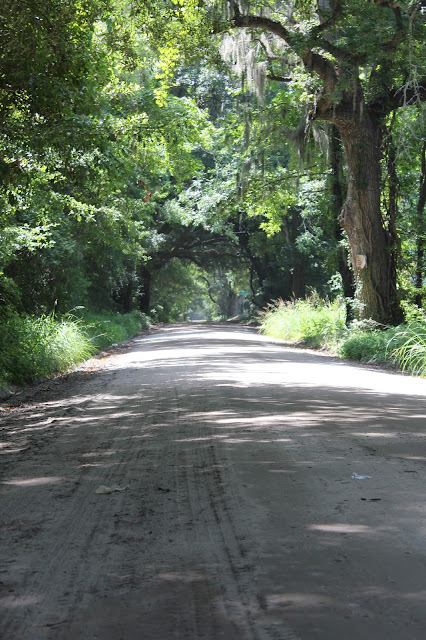 It was a fantastic place to go & I highly recommend making a stop here if you're ever out on Edisto! They have a good selection of fresh, local produce as well as some things that they had shipped in. 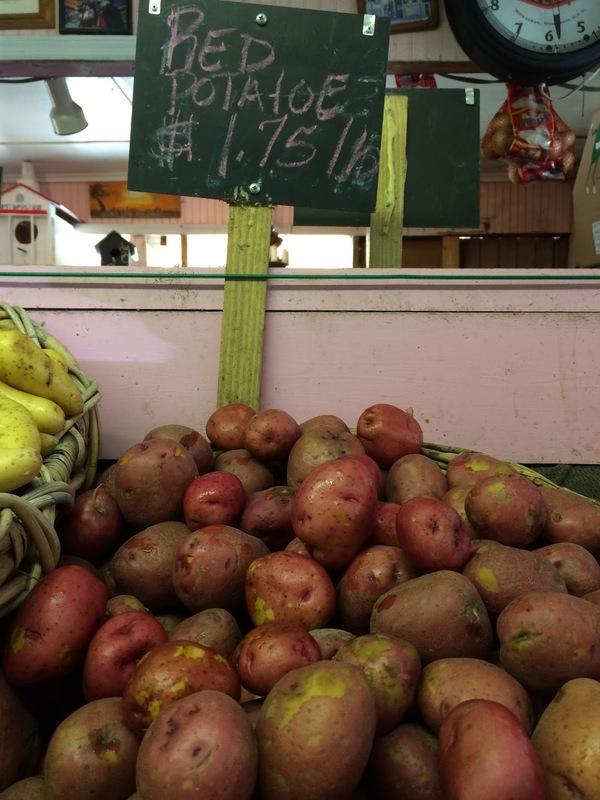 We purchased some red potatoes and corn for our Low Country Boil and a couple of peaches. I can't speak for the peaches, but the corn and little red potatoes were perfect on Saturday night. Don't you wanna go and buy some fresh produce from them now? I know I'm ready to go back and pick something else up! This place is just too darn cute! 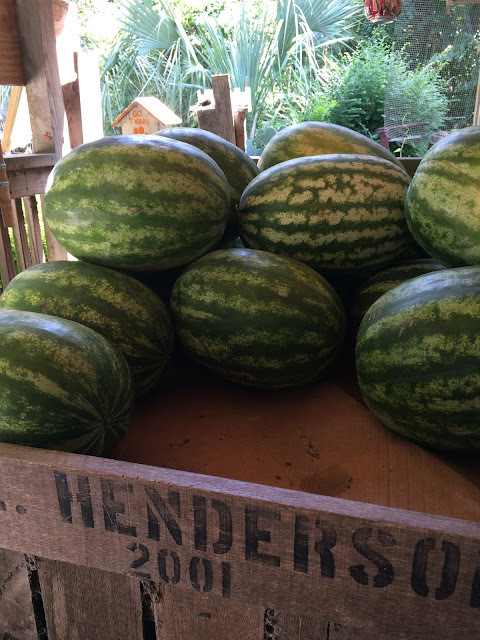 Pick me up a watermelon! I love this! I can't wait to go look into the new farmers market in our area. What camera did you take these on? This place is too cute - I love little quaint places like this and they always have the best food! Create your free account... This is website start the season the At Globaltrader365, the safety of your deposits and withdrawals is paramount. We offer a range of convenient, secure and reputable deposit methods which enable you to transfer funds to your account in a number of currencies and with total ease. Withdrawing is just as easy. Simply select from any of the reputable methods below and the returns on your investments will reach you securely and within short turnaround times. I love places like that!! !